Planning a Thai braai? Make this! Put all the ingredients for the spice paste in a food processor and blend to a coarse paste. In a mixing bowl, coat the raw prawns with the paste. 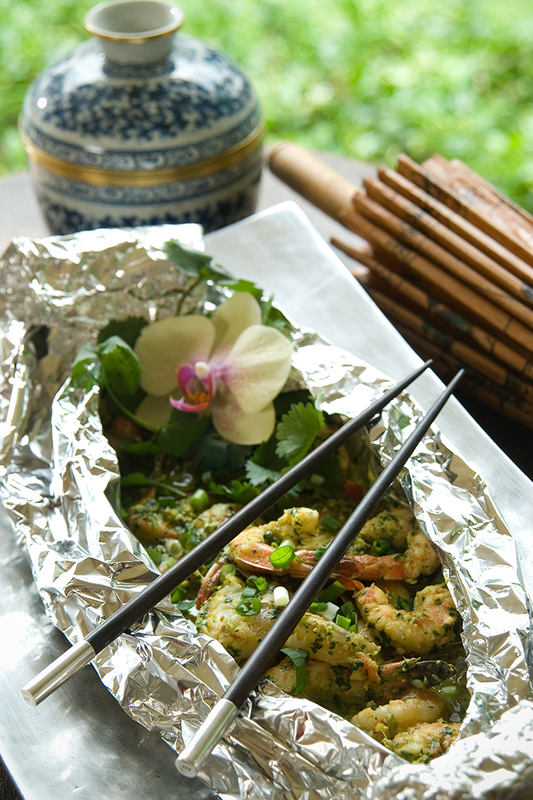 Lay out a double layer of foil, place the prawn mixture in the middle and crimp-seal the parcel. Place the parcel on top of the braai and cook until the prawns turn pink, about 15 – 20 minutes. To support seafood sustainability, choose farmed varieties of prawns over local, wild varieties and Mozambican prawns.